The museums of the world are full of statues and other artefacts of the Greeks and the Romans. All are given a date. But how are these dates arrived at. What is the evidence? 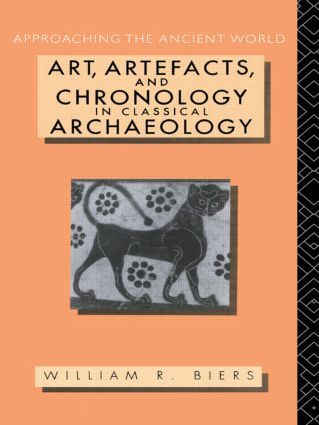 This study provides the student with an introduction and explanation of the ways scholars date the archaeological remains of classical antiquity. Specific examples from architecture, sculpture, and painting are presented, and the differnt methods of dating them are explained. These are supplemented with many original photographs and drawings. Old, and not so old problems in chronology are thus investigated and new theories reviewed from a fresh perspective.